SEATTLE— Global inequities in health spending are expected to persist and intensify over the next 25 years, according to a new study that estimates total health financing in countries around the world. 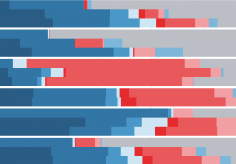 Published in The Lancet on April 13, “National spending on health by source for 184 countries between 2013 and 2040” draws from a joint research collaboration between the World Bank Group and the Institute for Health Metrics and Evaluation (IHME) at the University of Washington. 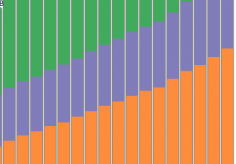 This first-of-its-kind study details total health spending and compares these data across income levels and geographies through the year 2040 for 184 low-, middle-, and high-income countries. The study also marks the first time distinct sources of health expenditure have been examined: government health spending, private spending – both out-of-pocket and prepaid health expenditures like insurance – and development assistance for health. The study reports annual estimates as a share of gross domestic product (GDP) and in purchasing-power, inflation-adjusted dollars, to maintain continuity with other health spending benchmarks. More resources are expected to be spent on health in the future with a projected 9% of GDP globally allocated to health spending by 2040, but there will be substantial variation in the levels of health investments. Past trends and relationships suggest that low- and lower-middle-income countries will spend the least on health, even when estimates include foreign aid from donor countries. 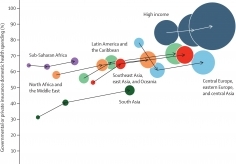 High-income countries are expected to spend $9,019 per person on health in 2040, compared to the projected $1,935 for upper-middle income countries, $507 in lower-middle income countries, and $164 in low-income countries. In all, 35 low- and lower-middle-income country governments will likely not meet the international benchmark established by the Chatham House of spending $86 per person to provide primary healthcare. Many countries in sub-Saharan Africa are predicted to be the lowest spenders on health. “We predict a widening – not narrowing – health spending divide among the world’s poorest and wealthiest countries. Many countries that are grappling with the largest and most complex disease burdens will spend the least on health,” explained Joseph Dieleman, Assistant Professor at IHME and the study’s lead author. The sources of health spending are also expected to vary greatly across the world. In 2040, government spending – as a share of total health spending – will be lowest in South Asia at 33.2% and sub-Saharan Africa at 36.3%, while governments in all other regions will finance 50% or more of health expenditures. People in low-income regions, particularly South Asia, will also finance a large amount of their health costs through out-of-pocket expenditures. 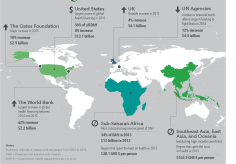 By 2040, 51.4% of South Asian health spending will come out of people’s pockets. That is compared to only 11.4% in Western Europe and other high-income countries, 28.6% in Latin America and the Caribbean, and 31.3% in sub-Saharan Africa. “The projected shortfalls in health spending in the world’s poorest economies directly threaten the achievement of the health and poverty targets of Sustainable Development Goals," said Dr. Tim Evans, Senior Director of Health, Nutrition and Population at the World Bank Group. 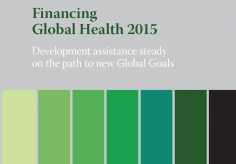 "As the Ebola crisis has demonstrated, we simply cannot afford to under-invest in health. Pragmatic strategies to raise more money for health and get more health for the money are a top priority at the World Bank Group." Government health spending gaps have historically been addressed by international aid and development assistance, but if and where these funds will be disbursed remains uncertain. In addition, health spending estimates indicate that prepaid health expenditures will see the largest increases. Evidence suggests this growth is a transition away from out-of-pocket spending, which places greater financial risk to individuals, but this spending has a high amount of uncertainty.